Components of 42 wines have been analysed using state-of-the-art equipment for the first time. The data generated will provide an extremely accurate basis for definitively characterising wine varieties, as well as an innovative approach for routine wine analysis. The method could also allow a wine to be clearly authenticated or to uncover counterfeits, as well as provide new insights into the role of specific substances in giving wines their aroma. 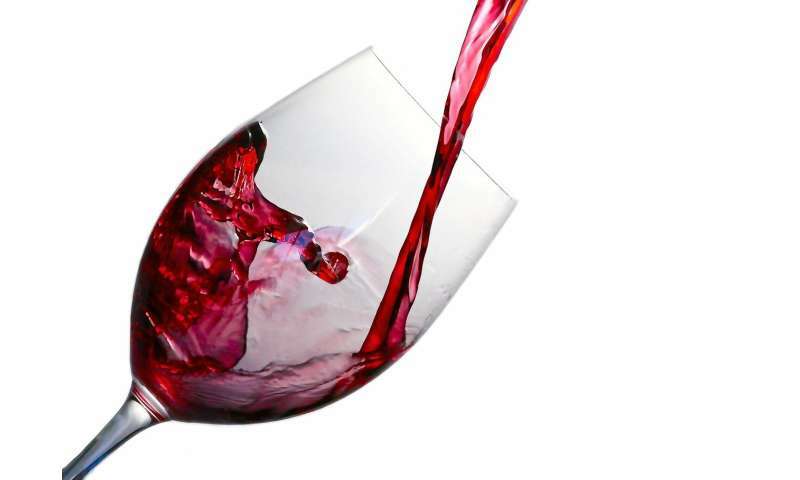 High-performance liquid chromatography was used in combination with ion mobility time-of-flight mass spectrometry to pinpoint the characteristics of various red wines. Wine is much more than just alcoholic grape juice – at least if you taste it carefully. And a team from the Department of Chemistry at the University of Natural Resources and Life Sciences (BOKU), working with colleagues from Macedonia, has done just that. However, instead of using their palates, the researchers made use of high-precision devices to carry out a comprehensive analysis – a huge challenge in itself, owing to the complexity of wine. Wine contains carbohydrates and amino acids, as well as organic acids and phenolic compounds. Today, characterising these individual substances is no longer a problem, but examining all (or most) of the variants in an entire category of substances in wine is a different story – especially if you have no idea what variants are found there. This requires cutting-edge technology and highly developed expertise. Using a technique called high performance liquid chromatography with ion mobility time-of-flight mass spectrometry (HPLC x IMS-TOFMS), the team characterised previously little-known substances so precisely that they allow clear conclusions to be drawn on the origin and variety of the wine. There is an urgent need to uncover such data, as it is now not so much a case of 'in vino veritas' as 'in vitro veritas'. "We generated a sort of fingerprint for 42 different types of wine, which could serve as the basis for accurately identifying them in future," said Dr. Tim Causon, head of the research project, summing up the findings, which have now been published in an international journal. "The combination of high performance liquid chromatography with ion mobility time-of-flight mass spectrometry permits the extremely precise separation of individual substances – including unknown ones – in the wine. We can confirm the identity of these substances beyond any reasonable doubt using highly specific parameters, and the patterns they form is unique to a particular wine." However, applying these methods in combination is more difficult if there are no standards in place for comparing the results generated. This is, indeed, the case, as the wine is randomly broken down, producing different distribution patterns and abundances for all unknown or unspecified components. This is what Dr. Causon achieved in this project (officially titled MK 12/2016). A decisive factor was the separation of components according to their ion mobility prior to performing mass spectrometry. In this way, the team succeeded in producing a unique "fingerprint" for each of the 42 wines analysed. This comprises a string of different substances, with their identities characterised using up to seven parameters, including retention times, the precise mass as well as the standardised collision cross section, which was calculated on the basis of ion mobility and drift time (in nitrogen gas). Prof. Stephan Hann, head of the international working group, said, "Our aim was to develop a workflow that sets new standards of precision and selectivity for the characterisation of wine. We have laid the foundations for that, thanks to EQ BOKU's state-of-the-art equipment and our extensive experience."